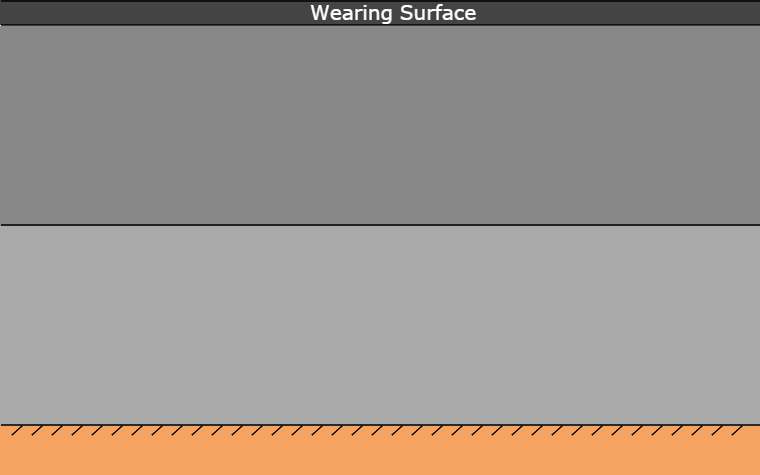 The wearing surface (also Wearing Course) is the top layer of a sealed road. It is specifically designed to resist abrasion from traffic and to minimise the entry of water. The wearing surface sits atop the road pavement as shown below. It does not typically contribute to the road pavement's structural strength.